I see the light at the end of the holiday tunnel. Before Christmas, the light felt like a train coming toward me. An electric train to be more specific. The train my father bought my son for Christmas and then asked me to set up so my son could come down to find it on Christmas morning. My father went on to tell me that if I set it up, my son would remember seeing the train for the rest of his life. The rest of his life. No pressure there, Dad. Without going into the details of my cursing and near-tear-filled Christmas Eve, let's just say I struggled with the train. That's what the holidays are mostly about for me - cursing, near-tears and a heavy dose of exhaustion. These feelings are only compounded by society's expectation that I be joyful. Commercials and holiday songs tell me I should be cozied up by the fireplace smiling lovingly at my family while we sip cocoa. One song just blatantly says the holidays are the "most wonderful" time of year. That song bothers me. It always leaves me questioning what I’m doing wrong. This year I decided to search for the answer. Not by turning inward to examine if I take on too much or if I've strayed from the true meaning of Christmas. No, I decided to find out who the hell is responsible for that song. 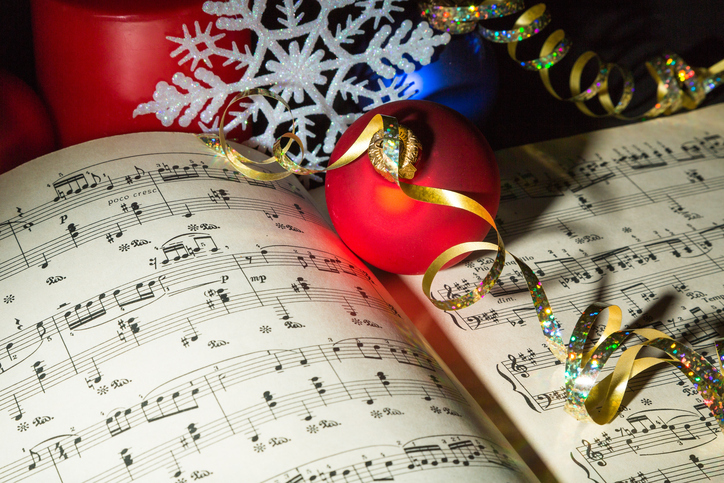 It turns out "It's the Most Wonderful Time of the Year" was written in 1963 by two men, George Wyle and Edward Pola. It was first recorded later that year by Andy Williams. Further research (yes, I did research) suggests that all 3 men were married in 1963. Although the 60's was a time of great social change, marriage was still largely stuck in its traditional format of a bread-winning husband and a homemaking wife. In that moment, it was all clear to me. It was the most wonderful time of year to the men who wrote and sang that song because they probably didn't have to do very much to get ready for the holidays! No shopping, cooking, cleaning, holiday cards, house decorating, and no primary care for children who are overexcited, under-rested and out of school. Now I don't feel so bad about my bah humbuggy attitude. If my spouse were a 1963 wife who did all the work, I'd probably think the holidays were wonderful too. I originally wrote this piece in 2011. Rereading it, I have to say it definitely captured my feelings about the holidays back then. Although I still feel like the holidays are something I survive, I’m happy to say this year was better than any I can remember in the past decade. Now that my kids are older, there’s a little less pressure to make Christmas magical. For instance, we don’t have to go to the mall and wait in line for hours to see Santa. Also, instead of me doing all the shopping this year my husband took on some of the list. I probably should have pushed for that to happen sooner, but this year worked because he wanted to do it as opposed to me pressuring him. I’m not sure I’ll ever think the holidays are the most wonderful time of year, but at least things are going in the right direction.